The preliminary report says that the a cause of the accident could be confusion on the bridge of the Ingstad frigate during watch turnover as a result of which the watch team mistook Sola for a land object. However, it was found out that the reason for the eventual sinking of the vessel was progressive flooding due to lack of adequate watertight integrity. 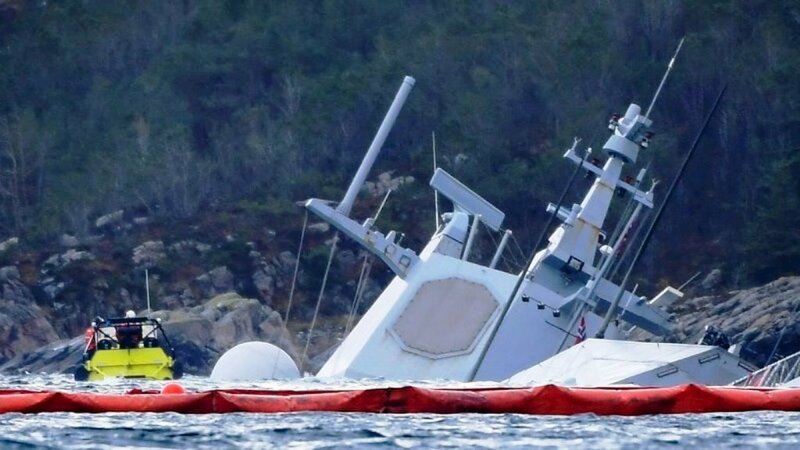 Following the conclusion in regard to the watertight integrity the AIBN has released a public addendum to the report and warnings that the reasons, which led to the sinking of the KNM Helge Ingstad frigate, could also apply to other vessels built by the Spanish shipbuilder Navantia. “The AIBN has found safety critical issues relating to the vessel’s watertight compartments. This must be assumed to also apply to the other four Nansen-class frigates. It cannot be excluded that the same applies to vessels of a similar design delivered by Navantia, or that the design concept continues to be used for similar vessel models. The AIBN assumes that its findings are not in conformity with the required damage stability standard for the Nansen-class frigates,” says the report. The spokesperson of Navantia, Esther Benito Lope, explained in a statement to Defense News that the published by the AIBN report is “very preliminary” and that the company has offered Norway to assist it with the investigation. “Navantia has not received any official communication, neither any consults about possible causes, nor participated in any action in Norway,” also revealed Benito Lope.